Here is something I never thought I'd say: I'm a gardener. Until this spring I had managed to kill more plants than I had kept alive and I felt like I tried everything. I tried container gardening on apartment balconies, my husband built raised beds in the first house we rented together, but every summer ended in a few squash and a bunch of dead tomato plants. I even managed to kill a few cacti, which I was told were impossible to kill. Still I didn't quit trying. My maternal grandmother kept a small garden for as long as I could remember. She also canned her own food, knitted, and fried some of the best cake donuts ever. She was part of a different generation - one more determined to be self sufficient, frugal, and mindful. She was "green", local, and an urban farmer before those were things. She past away 8 years ago this month, and I still regret that I didn't pay more attention when she made me snap beans for canning in the summer or the time she tried to teach me to knit. I find her in my grown up self more than I could have ever imagined. There are times when it would have been a lot easier to throw my hands up and say "Oh, I can't grow a thing" than to keep trying. Like most modern moms - I have lots of full-time jobs: Wife, Mama, and Recipe Developer are just a few. But being a mom also made gardening even more important to me. I want my daughter to know where her food comes from, I want her to have a connection to her great grandmother, but even more so, I want her to always keep trying. The things that don't come easily, whether it is gardening, a career, or sports, are the things that teaches us the most. 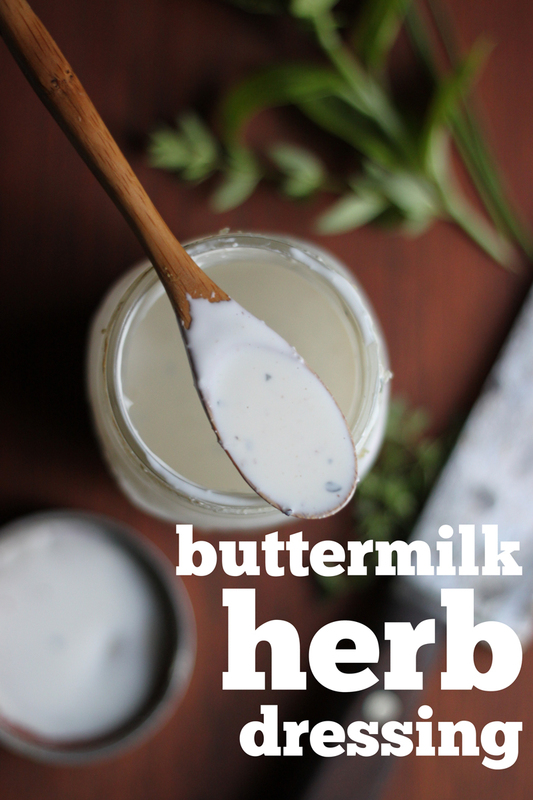 Our herb plants are going crazy right now, and though I have confessed my love of Hidden Valley Ranch here , this is one of my favorite ways to use fresh herbs and eat all our lettuce. 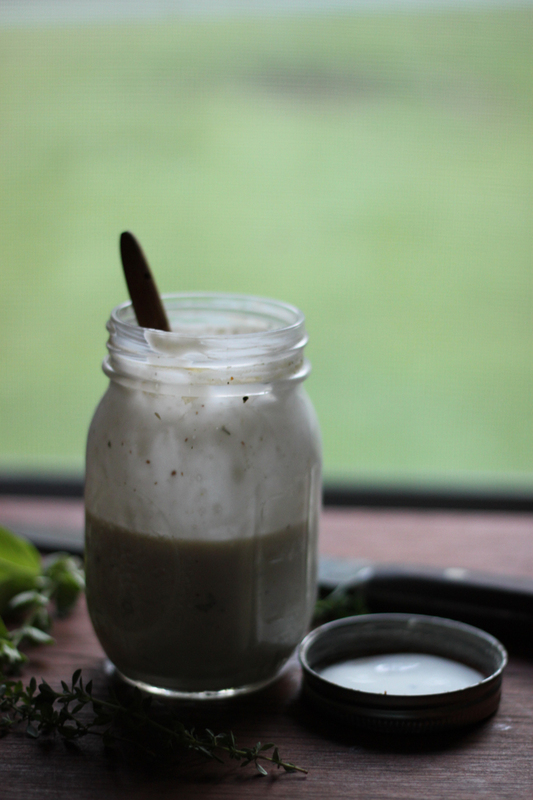 Combine everything in a pint sized mason jar. Lid the jar and shake it like a polaroid picture for 1 minute. Store in the fridge for up to two weeks. Eat on everything. Are you gardening this year? What is ripening? Any tips or trick you love? I'll take all the advice I can get! Ha! "Shake it like a polaroid picture for 1 minute." 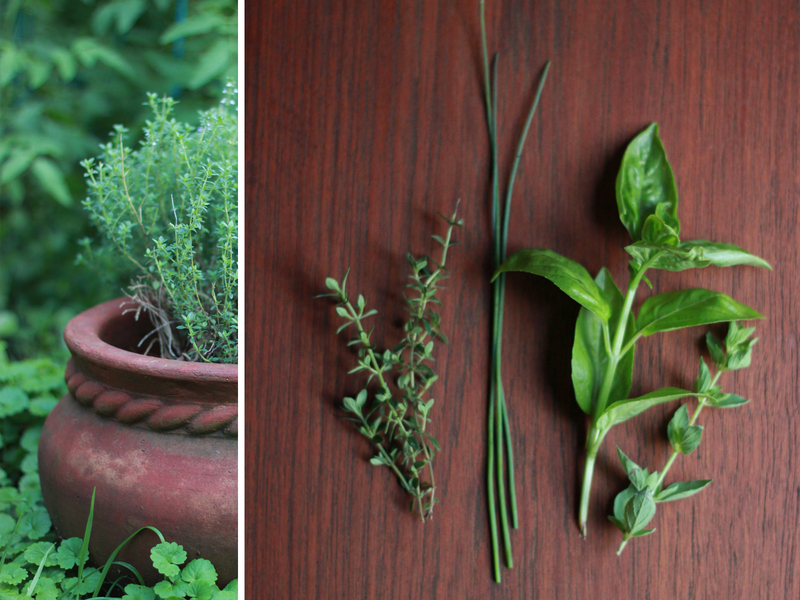 I'm not growing a garden this year, but this is a good idea for all those herbs I have bought this summer!